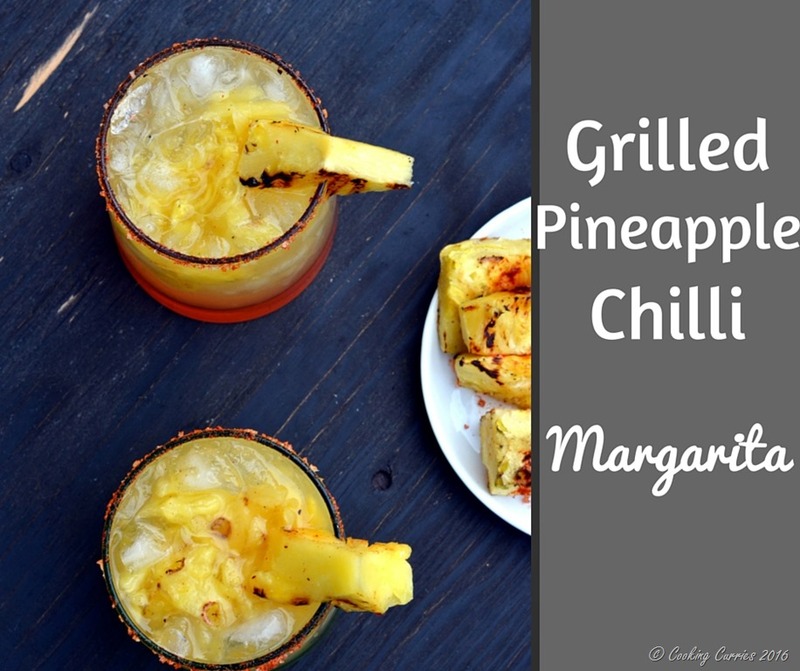 Grilled Pineapple Chilli Margarita – the perfect combination of sweet and spicy that you can get in a drink. 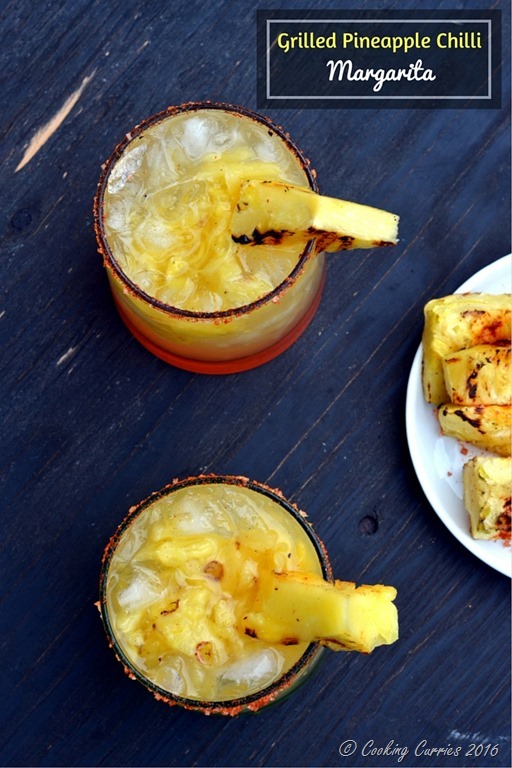 Grilling the pineapple brings in a lot more depth of flavor and a little bit of smokiness to add to the treat! This year, even though our summer here in Seattle has not been as great as the last couple of years, we have been grilling a lot! I love grilling, inspite of being a vegetarian. When you think of it, there is not a whole lot of the traditional “grilled food” in the vegetarian category. But if you are willing to experiment a little and get a little creative, there is a lot you can grill, that can appease any vegetarian. 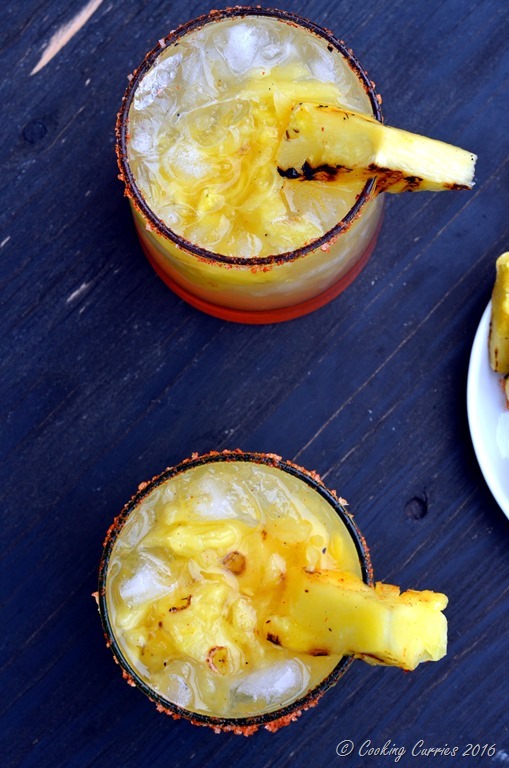 This grilled pineapple chilli margarita was one such invention born out of a necessity. The necessity to quench our thirst on a particularly hot and sunny day! The pineapple we had was not a whole lot sweet, so I decided to grill it to extract a little of the sweetness from it and gave it a spicy kick with some chilli. Needless to say, it was delicious! I have seen some recipes around with grilled jalapeno instead of the chilli and I bet that would be delicious too. I went with the Indian street food style of serving pineapple, mangoes and cucumber dusted with chilli and salt and a drizzle of lime over it! Just that thought of that makes my mouth water! 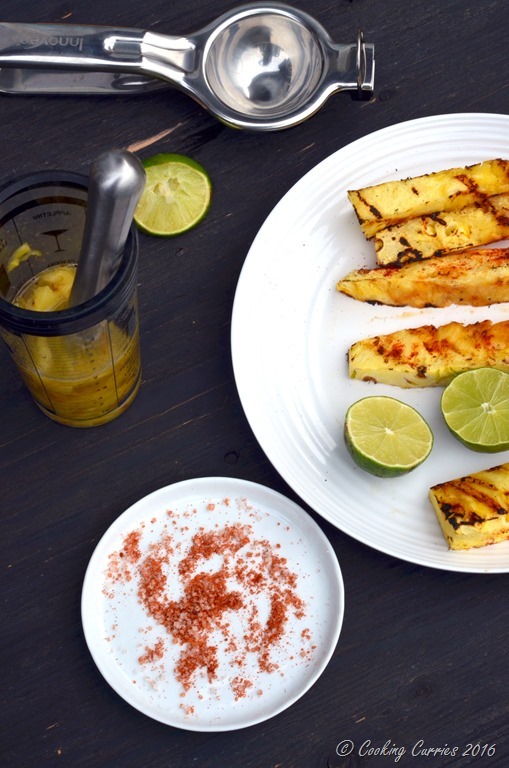 Rub the pineapple slices with a little cayenne chilli powder and grill them for a few minutes on either side. 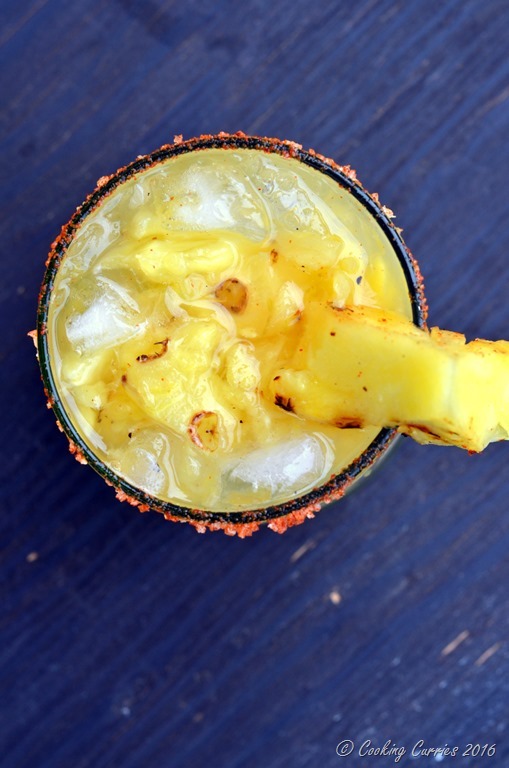 Chop the pineapple and muddle it with the lime juice. Rub the slice of lime around the rim of two glasses. Mix the remaining cayenne with the salt and dip the lime rimmed glasses in it. Fill the glasses 3/4 of the way with crushed ice. 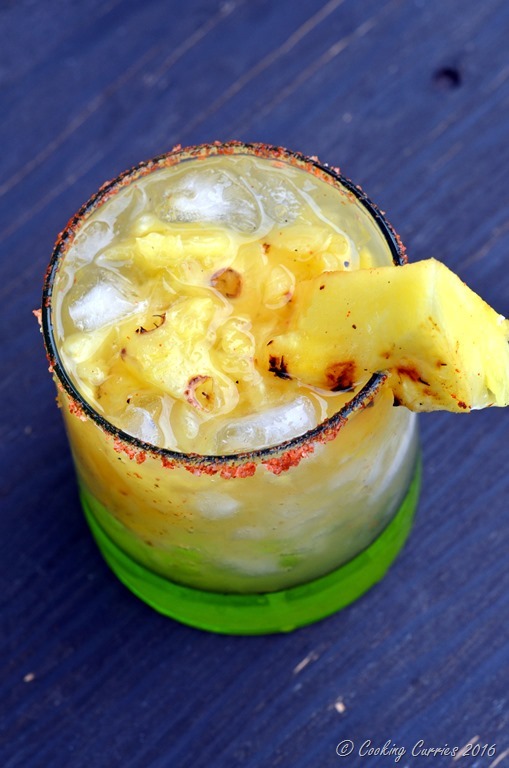 Add the tequila and triple sec to the muddled pineapple lime combo, add a little ice and shake well.